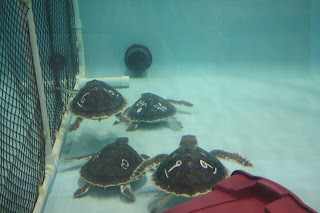 Today we worked on getting some more enrichment in the turtle tanks. 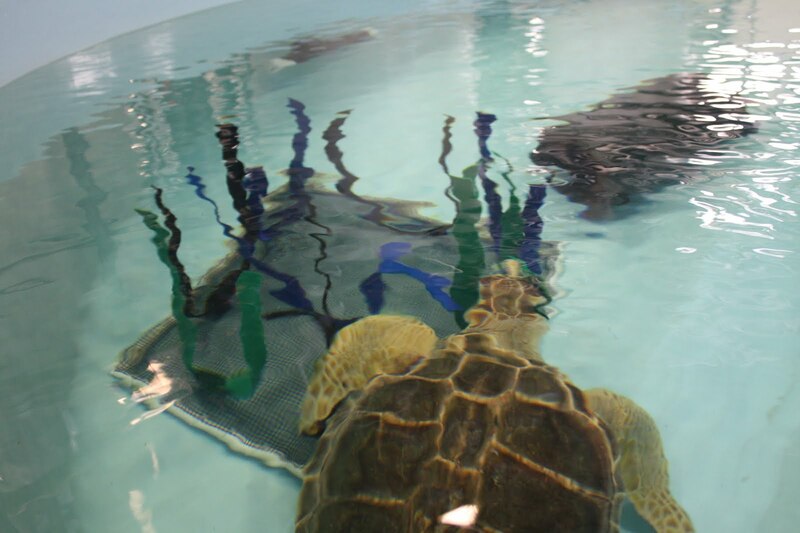 Environmental enrichment is a great way to provide stimuli to the otherwise sterile tank and enhance the wellbeing of the animals while they are in rehab. We usually have objects for the animals to hide under, but today we worked on some tactile enrichment. 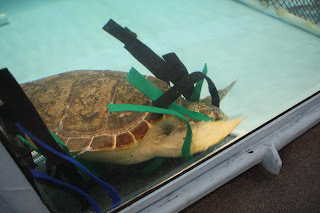 You may remember the contraption we used as a lettuce feeding device for the green sea turtles. Since we don't have any greens this year, we used some car wash strips to make a forest for the turtles to swim through. Above, we introduce the 'forest' into Juggernaut's lane. Juggernaut, one of our loggerhead sea turtles, was a bit nervous at first and stayed as far away as possible. Sometimes they just need time to get used to a new introduction to their environment. We also put a little mini forest in a lane with the Kemp's ridley turtles. They honestly could care less! 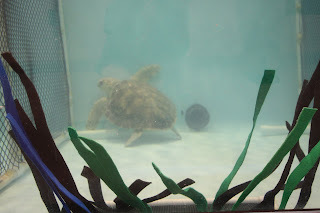 Yesterday we put a large pipe in Beast's tank so that he had a place to hide his head in. 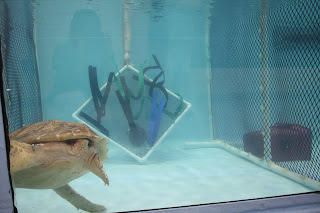 South Carolina Aquarium gave us this suggestion (see post here). Beast is still checking it out and pushes it around a little. We have several smaller ones in with the Kemp's, and they always get used in there. We also put a forest in with Beast. 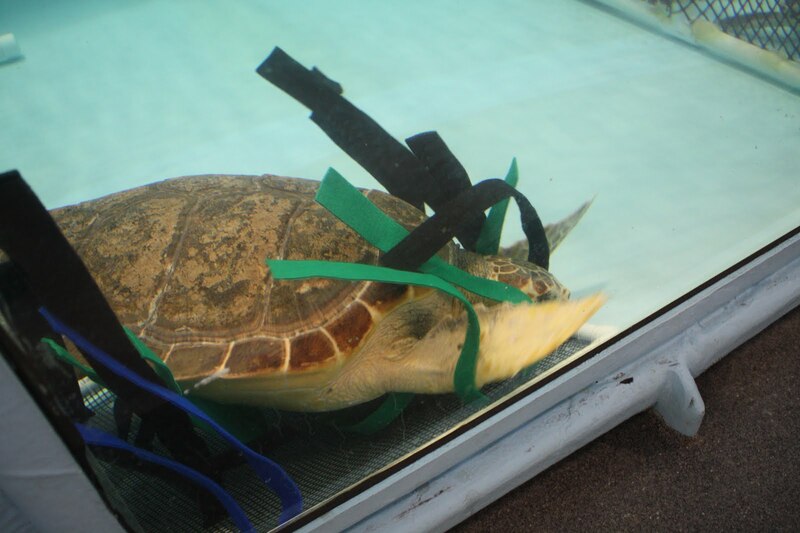 He's been doing some swim bys and showing some curiosity. 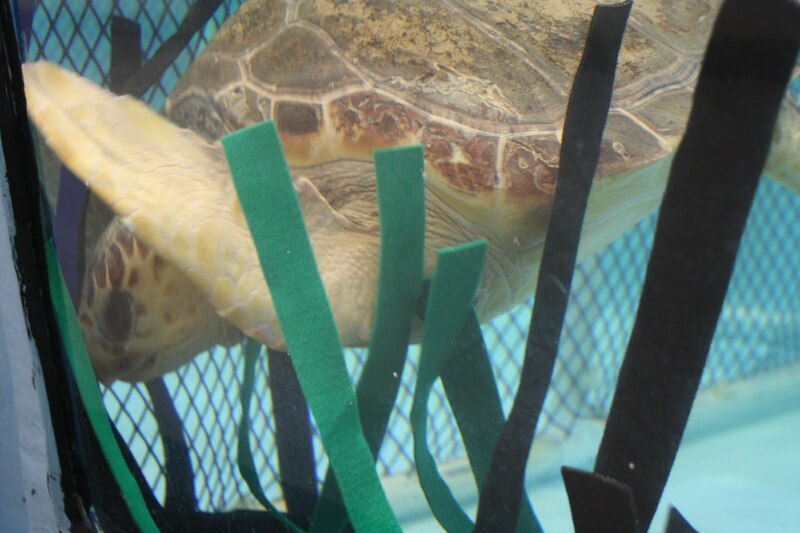 After an hour or so I caught Juggernaut nuzzling his head against the car wash strips. He seems to be getting used to it! Above, Juggernaut rests while the cloth flows over and around him. He seems to enjoy the feeling. And sometimes we don't even have to put anything in the tank! 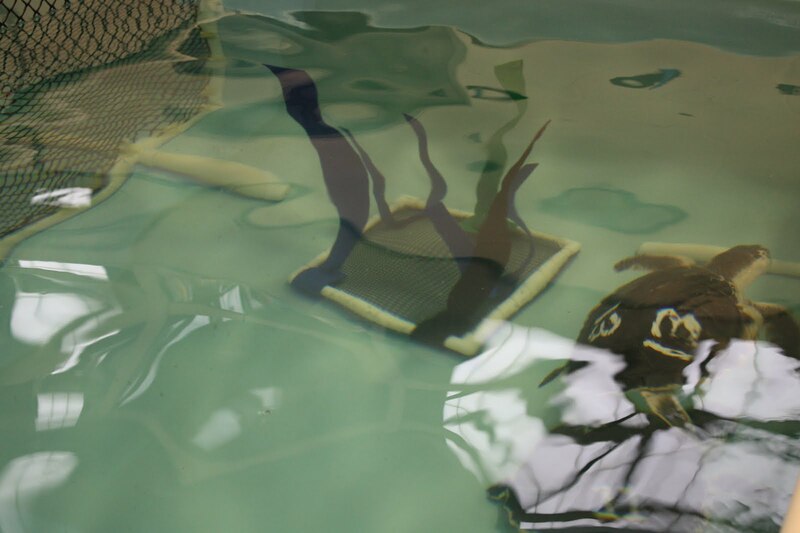 Above, four of our Kemp's ridleys swim in the outflow of the tank. 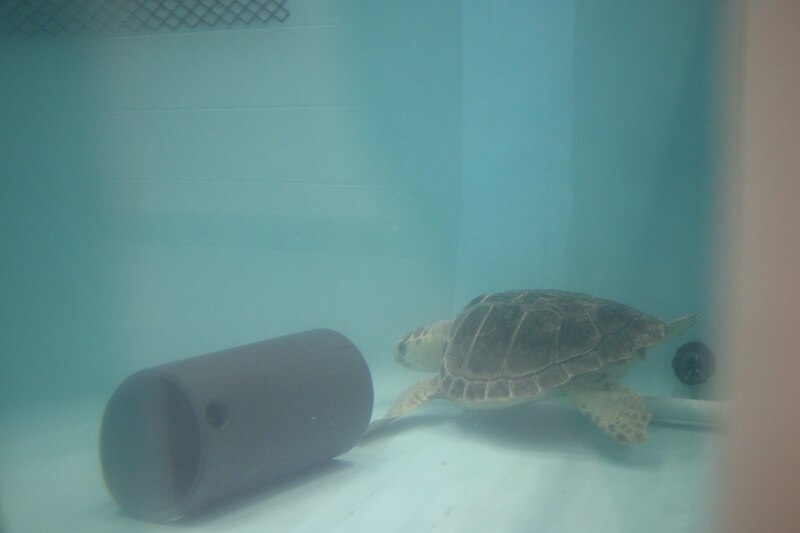 The pipe you see there has a current coming out of it, acting like a turtle treadmill for them (see a past post here). It's great exercise and the turtles love to swim in it! We will continuosly change out the enrichment in order to keep things different and stimulate the animals. It's always a fun project to come up with new ideas too!